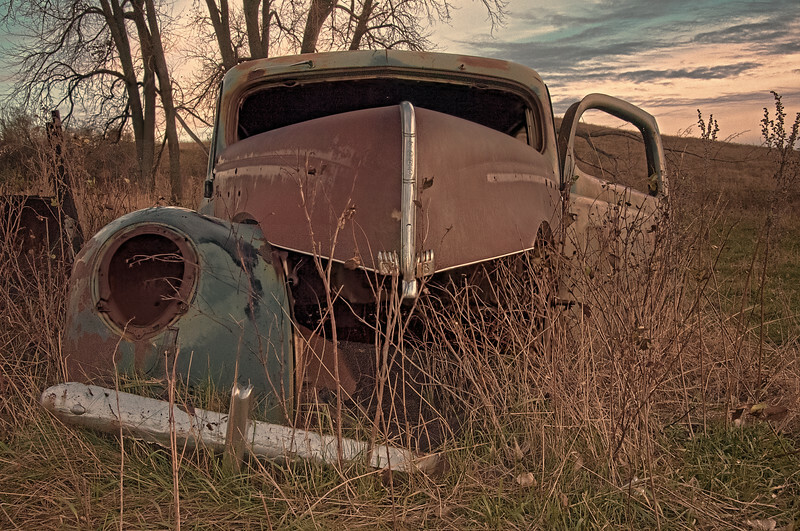 A 1940 Ford Tudor Deluxe has been partially stripped of useable parts, and then parked, left to rust east of Wilton. This car represents the peak of early Ford Motor Company days. About this time, the company reorganized and the designer of this style of car, Edsel Ford, son of Henry, was forced out.